Several news stories have celebrated the twentieth anniversary of the launch of the Hubble Space telescope today (a pseudo-event, as it were, which is a useful pretext for reflection). It is an anniversary well worth celebrating. When Hubble was launched it was known that it would see farther and deeper into the cosmos than ever before. The past twenty years have been exciting times in cosmology. Many discoveries have been made that have greater advanced our understanding of the universe and our place within it. It has already been more than ten years since the discovery that the expansion of the universe is speeding up rather than slowing down. This was a discovery made in part due to the sharp eye of the Hubble telescope. Prior to this discovery, big bang theories simply incorporated a “deceleration constant” into their equations, and the only question was presumed to be the speed at which the expansion was decelerating. Now that has all been overturned, and theoretical cosmology is still trying to catch up with the discovery. This is as close to a revolution as you get in Kuhnian “normal science” and it is but one idea substantiated by the Hubble telescope. 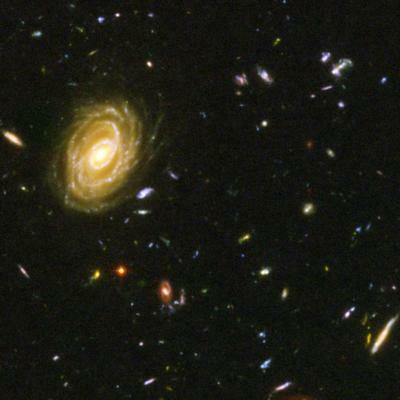 I find this revolution in cosmology to be very exciting, but of the memorable discoveries and images that have come from Hubble, my personal vote for the most important, and also the most moving, would go to the Hubble Deep Field and the Hubble Ultra Deep Field images. For these images the Hubble telescope was pointed at an “empty” bit of sky and exposed for a long time in order to register the very faint light of distant sources. The result shows us the universe of the cosmologist, with galaxies littering the sky like the stars of our own sky. When we see this image we can understand, if only imperfectly, the cosmologist’s universe in which the basic unit of structure is not the star or the galaxy, but the group of galaxies, or even the cluster of groups or superclusters of galaxies. This image shows us how far we have come, in less than a century, from the theory of the “island universe” in which the Milky Way, as incomprehensibly vast as it is, was the only structure that constituted the universe. In other words, the image gives us an immediate and visceral (if not emotional) understanding of the Copernican principle, such that we do not occupy a privileged place in the universe. 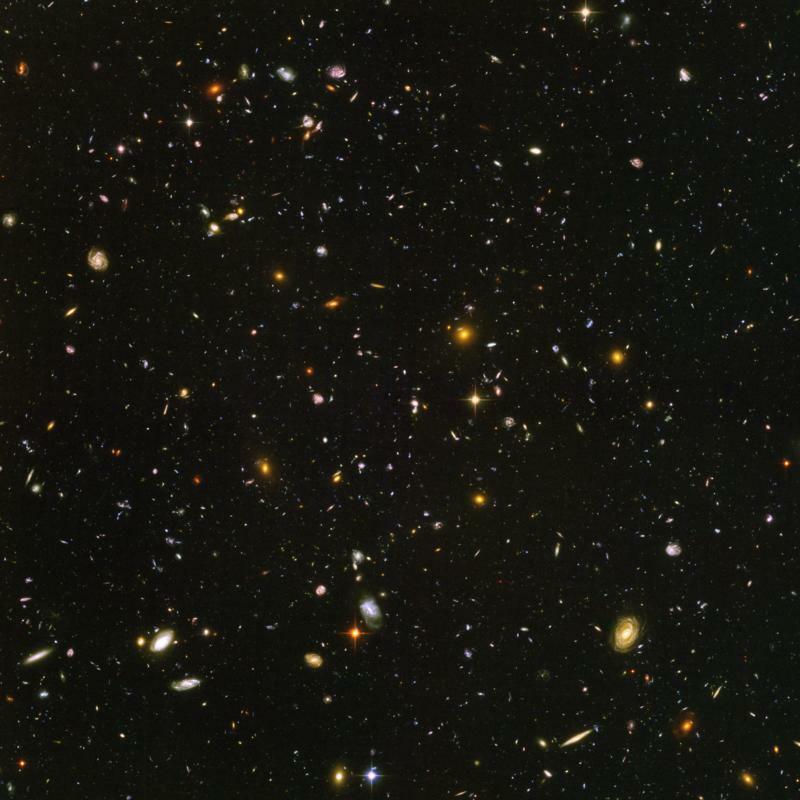 It is an unspeakable pretense to claim that one understands the size of the universe after one has contemplated the Hubble Ultra Deep Field image. 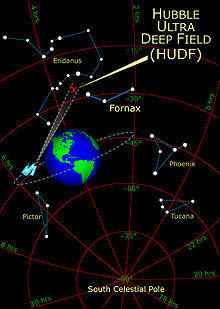 An image from the Hubble Ultra Deep Field (HUDF) sky survey.